Ralph’s speaking engagement having ended a smashing success, we have two full days to relax and enjoy (read: PLAY!!) 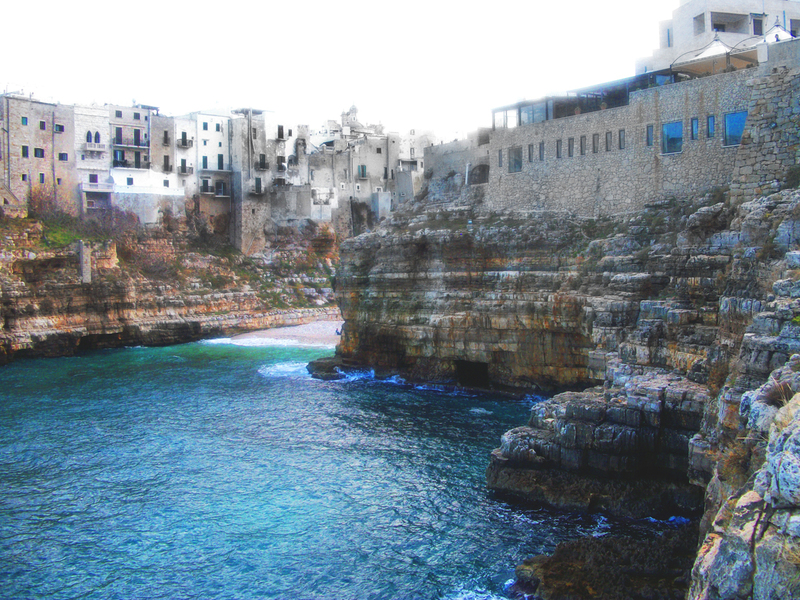 the southern Italian region of Puglia. Our newfound friends, Denise and Angelo, have armed us with a list of local sightseeing favorites: Polignano a Mare, Alberobello and Matera. Our first dilemma: how to get there. We could do a group tour…NOT! 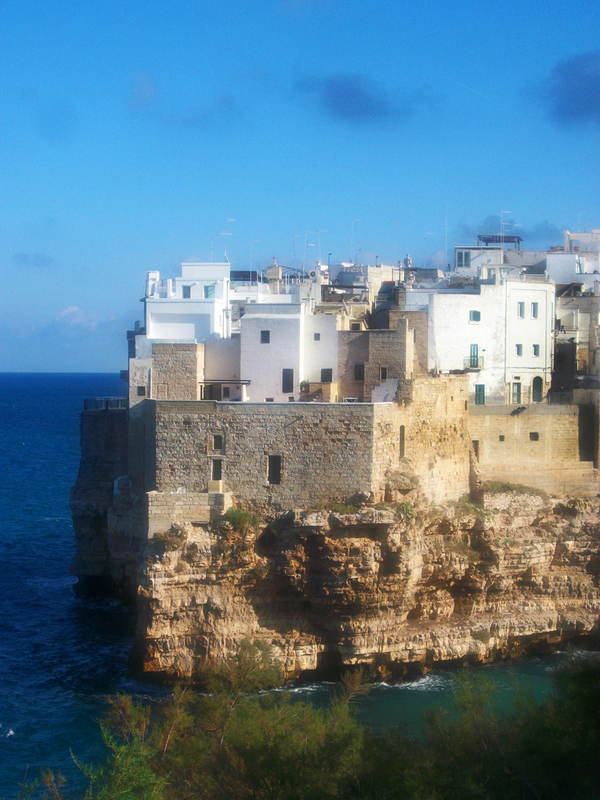 We could catch a train to the one coastal village on our itinerary, Polignano a Mare; but the train wouldn’t take us to the other two, inland towns up in the hills. We could rent a car; but the traffic signage here is a jumble of incomprehensible, nonsensical (though highly aesthetic) symbols and icons…just like a Mac! (Haha! Sorry…had to get ONE Apple jab in!) Besides, southern Italian drivers are mad and make the worst NYC cab drivers look like Grandma behind the wheel. We’re not taking our chances. Thankfully, Ralph has the perfect solution: he’s hired a driver for the next two days. At €200/day, it’s not that much more than a high-end group tour would be; it’s totally stress-free in terms of getting to and from our destinations; and we can explore on our own, on our own timeframe. Plus, relaxing in the back of a comfy Mercedes-Benz sedan with a good-looking Italian man at the wheel is nothing to sneeze at! First stop, Polignano a Mare. A mere 20 minutes south along the coast from Bari, this is a beautiful, if somewhat run-down, village of whitewashed cubes for homes, stacked one atop another and perched delicately on vertical cliffs overhanging the sea. Our first stop is a scenic overlook dominated by a beautifully-posed statue of Domenico Modugno, a singer/songwriter and native son of Polignano a Mare who wrote and sang the 1958 song “Nel Blu Dipinto di Blu” (better known as “Volare”). 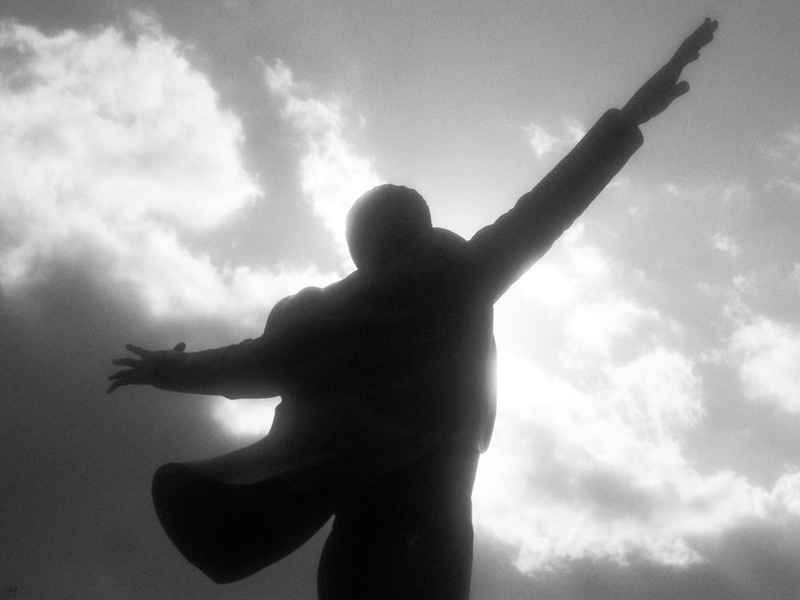 “Volare” means “to fly”; and the bronze statue depicts Domenico with arms outstretched, head raised toward the sky. It’s quite beautiful, especially with the open sea at his back and the wind blowing into his hair and face. Domenico looks like he may ascend to the heavens any second. The water of the Adriatic is a gorgeous, deep turquoise here (oddly enough, the artificial blue of Tidy Bowl on the first few flushes!). Ralph and I are standing on a rocky ledge 30 ft above the water; and it’s all I can do to resist tearing off my clothes and jumping in. I’m certain that if I’m in any danger once hitting the water, the fishermen dotting the ledges, dangling their lines below, will rescue me. (Or maybe they’ll just think, “One less crazy American tourist in the world!”) I think Ralph breathes a sigh of relief when I head back up, fully clothed, toward the town. 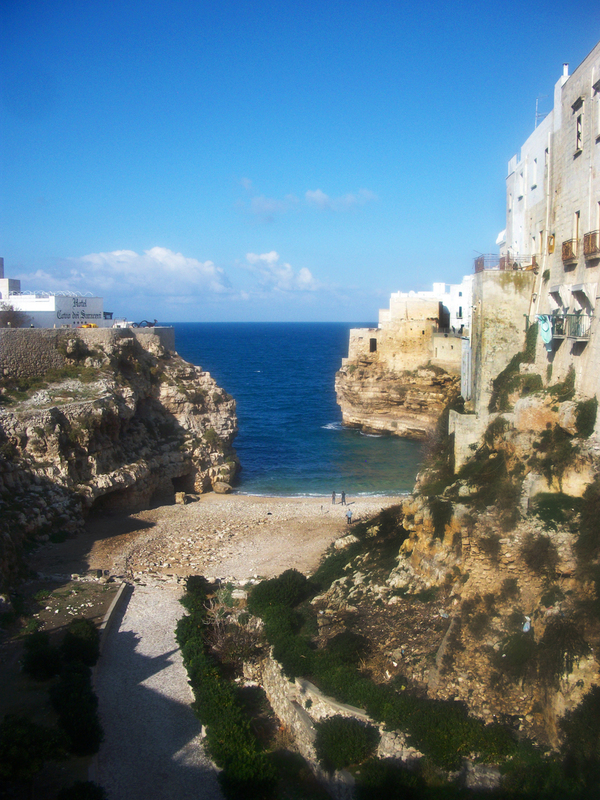 Crossing the tiny bridge, Ponte Lama Monachile, over a great, dry ravine leading from the upland hills to the sea, we enter the old, medieval part of Polignano. 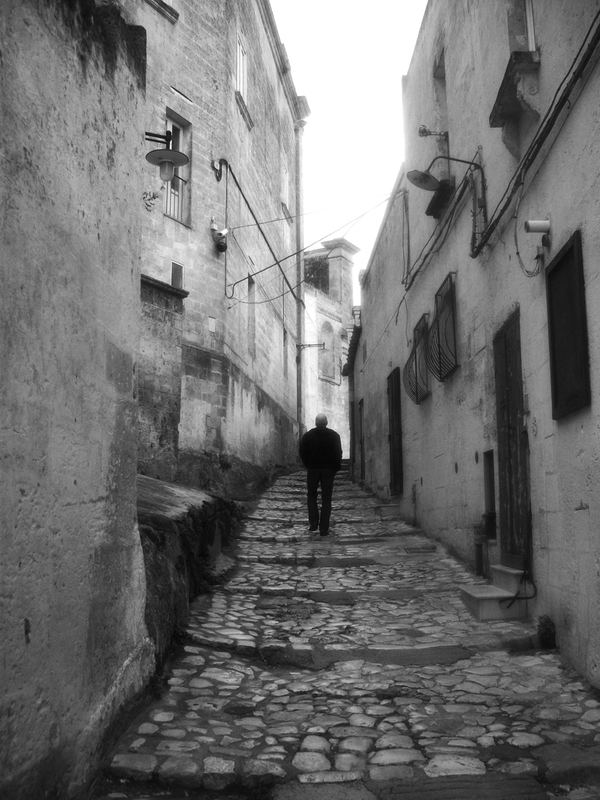 Entering under a large, crumbling arch adorned with faded frescoes, the Arco Marchesale, we step into the enclosed village – and into a time warp. I imagine the surroundings haven’t changed much since the original fishing village was established eons ago. The impossibly narrow streets, criss-crossed overhead with laundry drying in the gentle sea breezes, twist and turn out of sight, but all eventually lead you to another overlook onto the gorgeous, azure sea. Wherever the sea reappears, we run to the edge and peer down, fascinated by the sheer, uninterrupted drop from the houses to the ocean’s surface. I can only imagine how beautiful it must be to open your windows to the breezes and views these people must have! They may not have much money; but they have views that “Trump” (pun intended) those of any Central Park West socialite! The minimalistic, white-plastered homes and stairways, brightly-painted shutters, vibrant, potted bougainvilleas, delicate lace curtains, and fluttering clotheslines (all backed by an impossibly blue sky) cause Ralph and me to pause in awe, to allow these beautiful images to settle permanently into our memories. “This is EXACTLY what one thinks of when thinking of Italy,” Ralph exclaims. I couldn’t agree with him more. It’s early on a Saturday; so no shops or restaurants are open, not a soul stirs outside. Ralph and I practically have the whole town to ourselves; and we take full advantage: running through the town like Wee Willie Winkie, disappearing separately down one lane one minute and crossing paths with each other the next. It’s so perfectly “Italian”, I’d swear we were running through an empty movie set! We stop to curiously admire the ancient church, Chiesa di Purgatorio, with its morbid skeletons and skulls-and-crossbones above and beside its entryway. We pass through the town’s main piazza, surrounded by more churches and stuccoed buildings shabbied by time and sun, but whose years and years of peeling paint layers, salmon pink on top of golden yellow, on top of rusty brown, on top of sage green, create a stunning texture and mosaic of color. The piazza is empty now – peaceful and silent except for the “squeak” of little seabirds and the “look!” and “wow!” of me and Ralph. When people finally begin to come out of their houses to sweep their doorsteps, bring in their laundry or gather with neighbors to chat, I notice the population is quite old. They eye the few tourists wandering into their secluded village with curiosity but do not speak. I engage them with a cheerful and well-pronounced (if I do say so myself) “Buongiorno!”, which brings surprised smiles and return greetings. I would love to have the opportunity to sit down and get to know them, to savor their local dishes and wines, meet their grandchildren, hear their family histories, answer their questions about Americans and the U.S. If only I could speak the language…DAMN, that pesky language barrier! There is a spot in the village, a tiled, rustic and very sun-worn patio, which presents the onlooker with the most beautiful vista of the Adriatic, including, directly below, the small, pebbly beach cove where an eager, lapping tongue of the sea, the Cala Ponte, reaches in to get a taste of this town of stacked sugar cubes. An elderly gentleman, obviously a longtime Polignano resident with rather rustic, sunworn features himself, offers up a seat in the two plastic garden chairs he has set up for the handful of mesmerized tourists who pass by. Realizing I’ve been wandering alone for a while and thinking I probably need to reconnect with Ralph, I decline with a soft, “No, grazie.” Later on, I see this same aging-yet-still-handsome man hobbling to and fro, gathering additional chairs from other residents’ homes to accommodate the tourists. I nod at him in passing and am rewarded with a warm, Italian smile. My heart smiles back at this man from another culture and another time, proud to share the fortune of this place, his home – eager for us to put up our feet, to stay awhile. 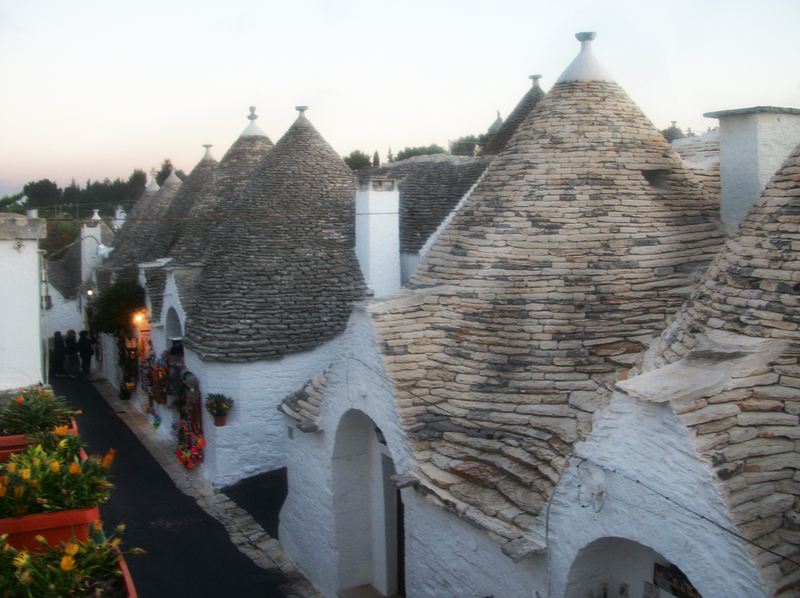 One by one, “they” soon appear – the “trulli” – Alberobello’s claim to fame. Tiny farmhouses made of “chiancarelle”, flat stones, thin as tiles, stacked to form a circular wall and culminating in a perfect, conical roof, these whitewashed beauties are amazing to behold! Each one we pass, few and far between at first, in varying states of disrepair (or all-out crumbling) brings gasps of excitement from us both. We had been told about the trulli by Denise and Angelo at dinner the night before; but we had no idea how precious and endearing these Lilliputian homes would be! And so it was that we were left speechless when our driver made one last, unexpected turn into an entire village, two hillsides ascending on both sides of the road, entirely encrusted with trulli! Like two kids let out, wide-eyed, at an amusement park, we are giddy with excitement at the prospect of exploring the twisting lanes weaving throughout the village. 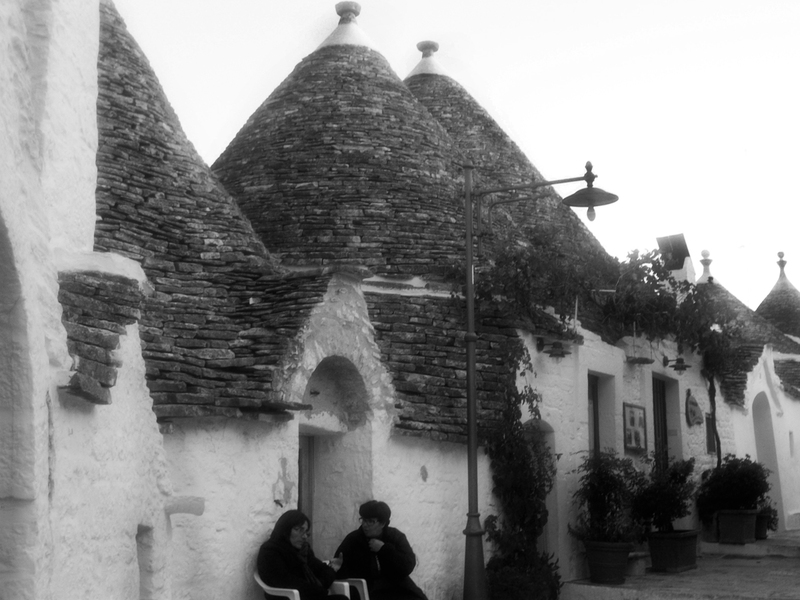 We are surrounded by trulli, like clusters of giant mushrooms in the golden sunlight near day’s end. At any moment, you almost expect a family of woodland elves to peer out behind the tiny, wood-framed windows or step out of the miniature door frames. 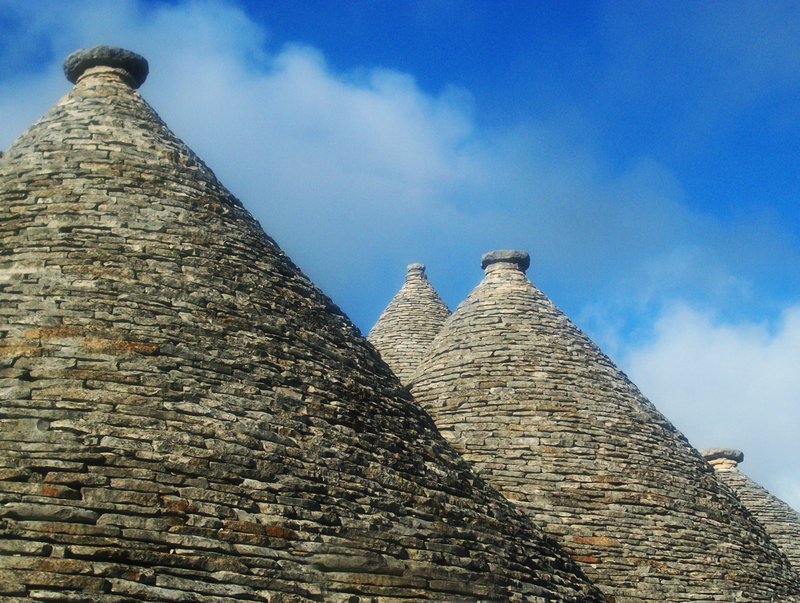 Some trulli sport chimneys releasing the homey scent of woodsmoke. 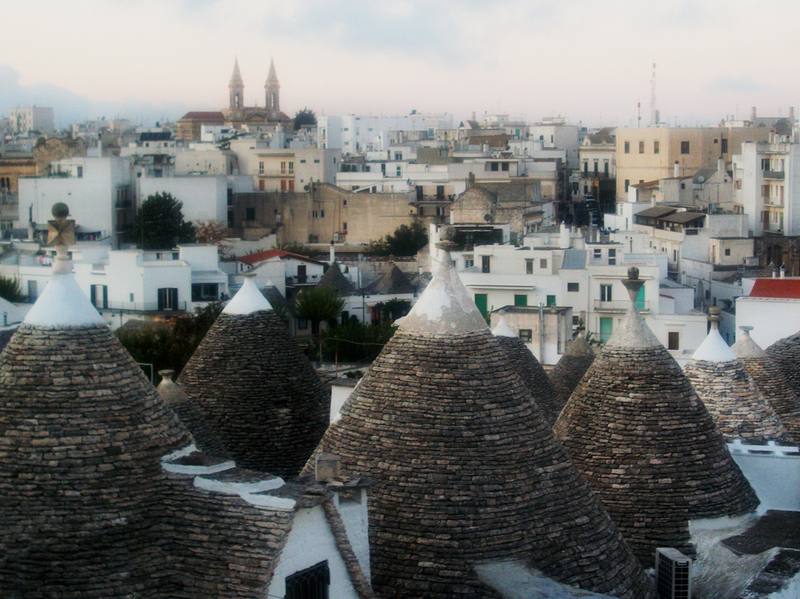 Other trulli appear to be 2 trulli merged into one, Siamese-twin of a structure – medieval Puglia’s version of a “double-wide”. Some trulli feature white cryptograms etched onto their stone roofs, magical symbols to ward off evil or bring good fortune to the home. Nearly all the trulli have distinct and beautifully-shaped limestone pinnacles capping their conical roofs, each a signature of its builder. Back in the 16th century, the noble family Acquaviva, Counts of Conversano, brought 40 peasant families to this area that was once a great forest (“Silva Arboris Belli”, which eventually became “Alberobello”), to have them settle and cultivate their land. In the 17th century, in a stroke of deceitful brilliance, the tyrannical Count Giangirolamo II Acquaviva Aragona (known as “the Squint-Eyed of Puglia”) decreed that the families build their miniscule homes without mortar. In the event that a representative of the ruling King of Naples should arrive to survey the land and tax the Count for every home on it, the families could simply be ordered to knock down their homes, presenting the surveyor with nothing more than piles of rocks, then quickly rebuild the trulli after the surveyor’s departure. 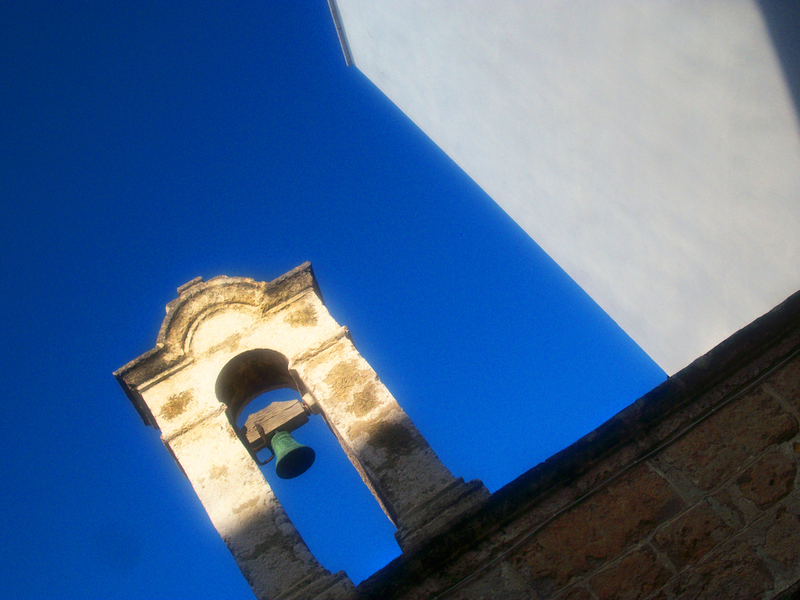 In 1797, the king proclaimed the town of Alberobello to be under his rule, free from the Counts of Conversano; and the people were allowed to build their homes with mortar, to finally feel grounded, to feel, at long last, at “home”. Ralph and I have a chance to peek inside a couple of trulli – one that has been turned into a snack bar (where we scarfed down the most delicious pizza and insalata caprese), and another that has been turned into a shop and gallery featuring the beautiful work of a local photographer. A central room is surrounded by thick walls into which deep niches have been excavated, creating places for storage and sleeping. A well inside the trullo provides fresh water; and a hearth provides fire for warmth and cooking. In the photo-gallery trullo, a wooden platform in the conical roof space hides a cozy sleeping loft, accessible by an ancient, wooden ladder. I want to move in immediately. Our arms stocked with black-and-white photos and postcards from the gallery, as well as little, trullo-shaped bottles of the local, almond-flavored “mandarle” liqueur, Ralph and I survey this fantasy town of Alberobello from the rooftops and stop by the town’s pièce de résistance, the Chiesa (church) di Sant’Antonio (built in traditional trullo style). Reluctantly, we head back to Angelo, patiently awaiting us in his black Benz. The drive back to Bari finds us both nodding off in the backseat – kids that have played hard, finally giving in to exhaustion. Though yesterday’s excursion would have served as the perfect end to our trip, we have one more full day in Puglia; and we’ve saved it for the further trek to Matera. 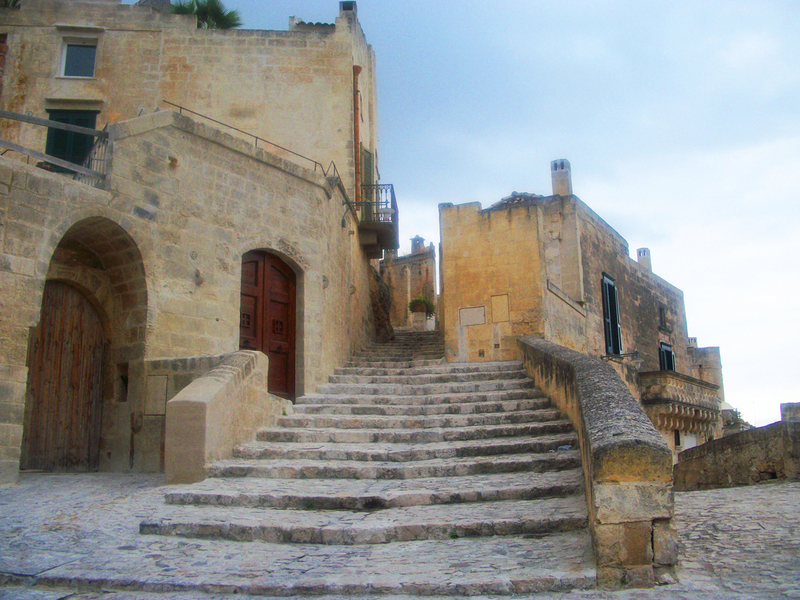 I read an article about Matera several weeks prior to our trip and was fascinated to learn about this ancient and unique town carved into the rocky hills of Murgia. Ralph has hired Angelo again for the day; and as we head further into the interior, we also head to a much higher altitude than we’ve been thus far. Soon, the entire coastline of Puglia is spread out below us – the rocky, dry hills giving way to an infinite, grey-green carpet of olive groves, and that piercing blue sea beyond. We are on the “newer” side of the river, in the city founded by the Romans in the 3rd century B.C. as “Matheola”, after the Roman consul Lucius Caecilius Metellus. This area features Roman-style homes and water cisterns carved deep into the soft tufa stone. 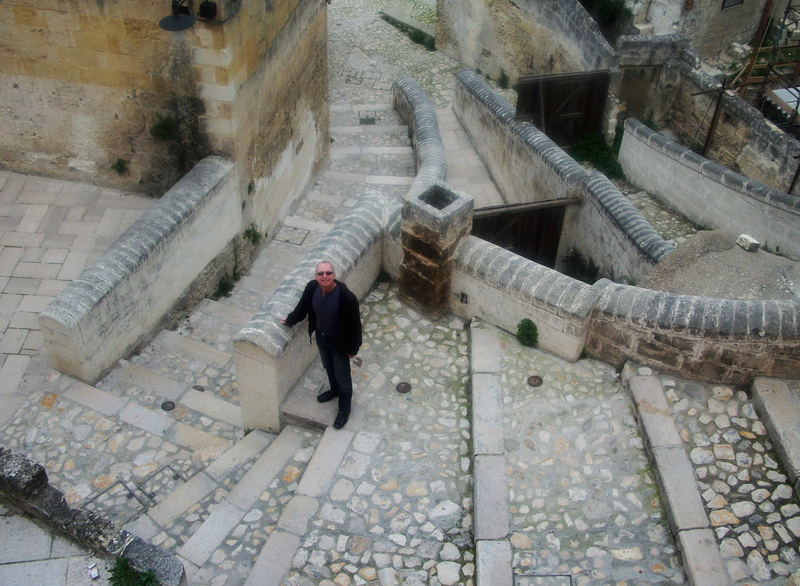 It’s a fascinating, steep village of stairways above, below and on all sides of you; and being in it is a little disorienting and surreal, like wandering inside the famous M.C. Escher lithograph, “Relativity”. Intrigued and eager to follow each stairway, the hundreds of stone steps you have scaled simply escapes your awareness. 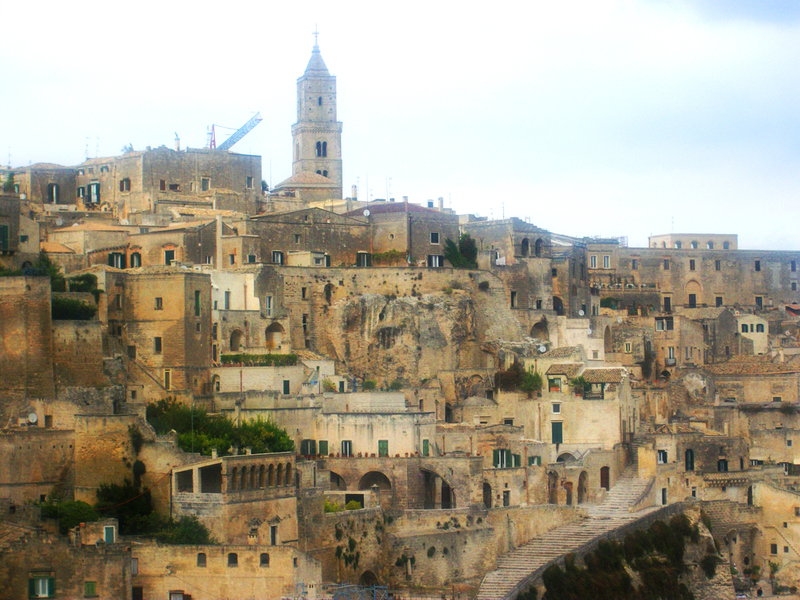 The gorgeous vistas offered here are innumerable; and it’s no wonder people have wanted to live in Matera for the past 9,000 years. 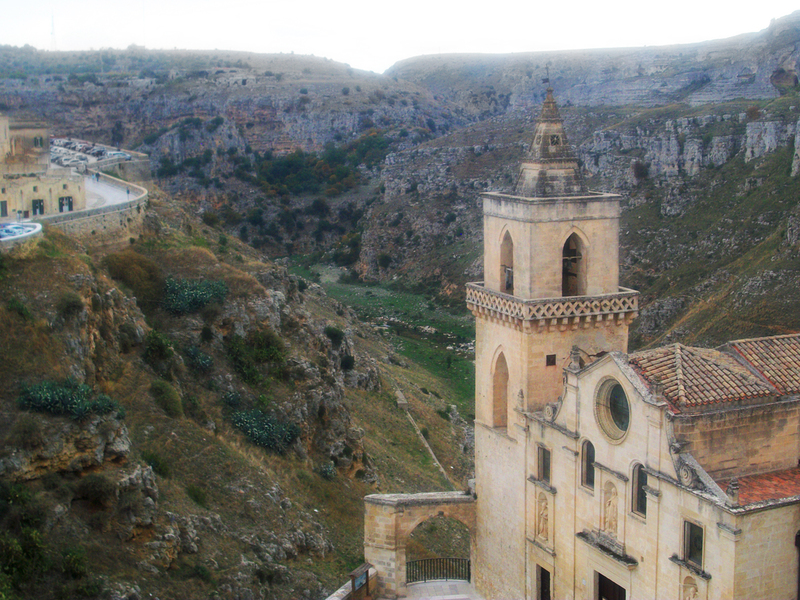 Beautiful churches hang precariously on the edge of the ravine, which is majestic, wild and rocky, yet serene. 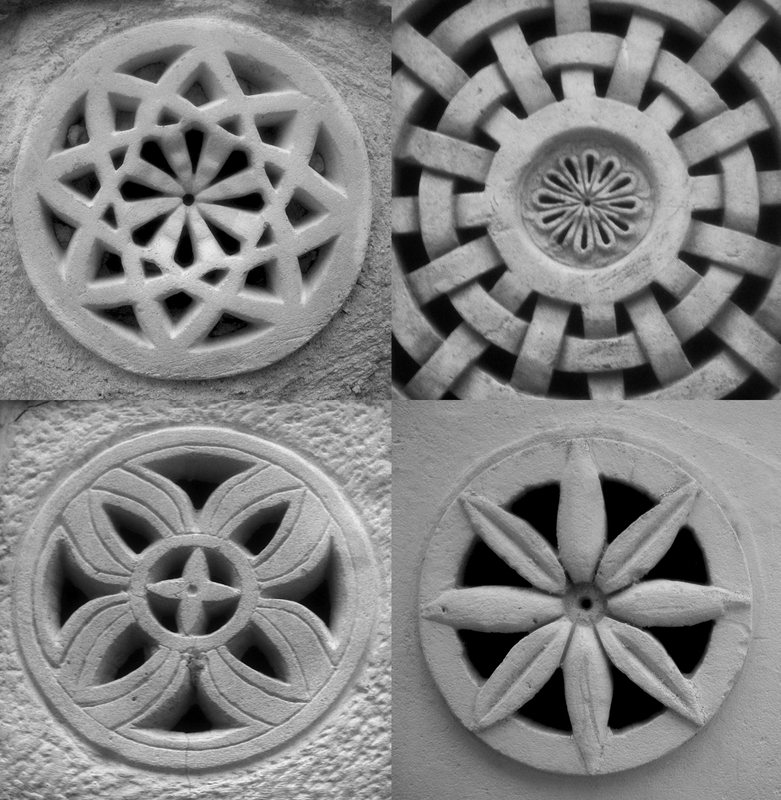 The carved houses are so interesting, especially their earth-colored, clay-tiled roofs and (my favorite) their distinctive, decorative ceramic air vents in a myriad of pinwheel- and flower-shaped forms. A group of students exploring the caves across the ravine calls back to us, their echoing shouts bringing smiles of delight to tourists and locals alike. And it’s not just the food (and the wine!) – southern Italy is a feast for all the senses. It’s a place of warm, boisterous and beautiful people. It’s a place dripping with history so ancient and important, it’s practically a huge, outdoor museum. It’s sunshine that warms your skin and entices your inner olive complexion to come out, ocean so blue it’ll hypnotize you, and balmy breezes that convince you to let your hair down. 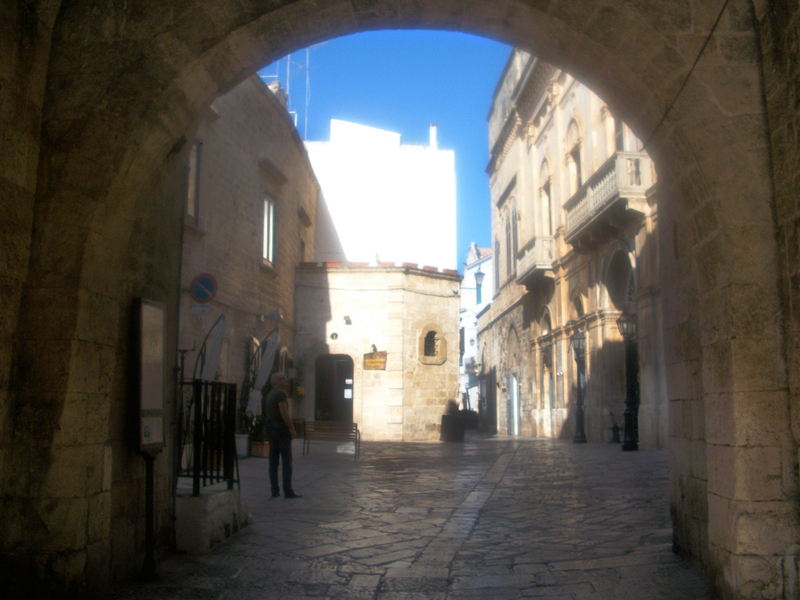 In Puglia, you just can’t help but want to “come out and play”! 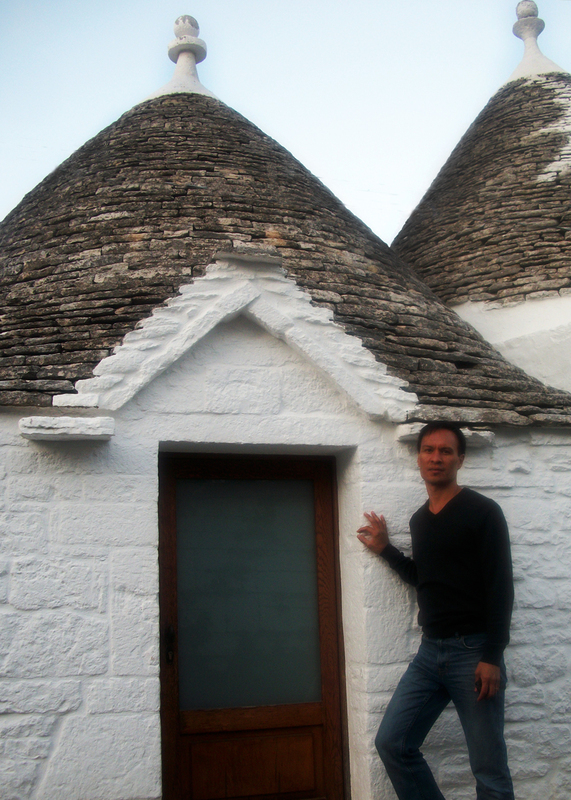 This entry was posted in Travel and tagged adriatic sea, alberobello, bari, domenico modugno, europe, italy, matera, polignano a mare, puglia, sassi, sasso barisano, sasso caveoso, torrente gravina di matera, troglodytes, trulli, volare. Bookmark the permalink.